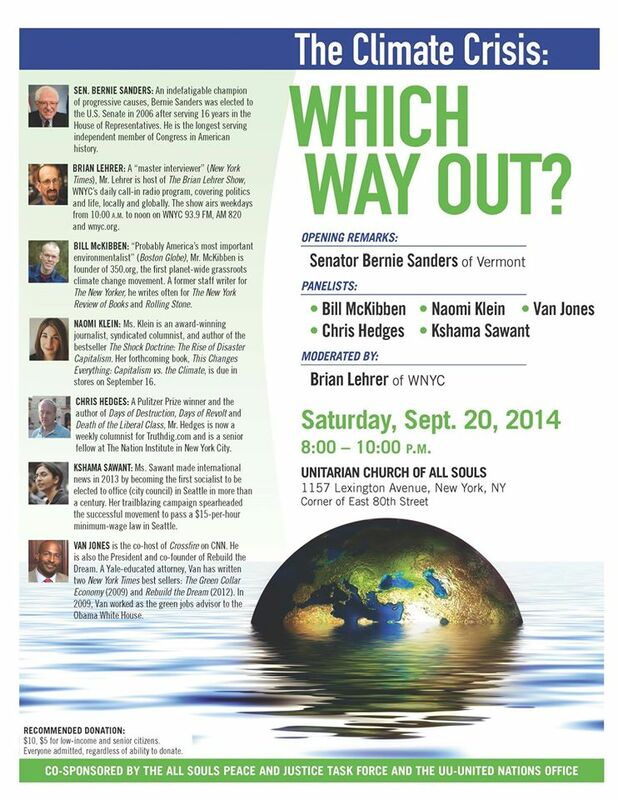 “The Climate Crisis: Which Way Out?” is a panel discussion of strategy and tactics for the climate justice movement, with opening remarks by Senator Bernie Sanders and moderated by Brian Lehrer of WNYC. The featured panelists will be Socialist Alternative’s Seattle City Councilmember Kshama Sawant, environmentalist and reporter Bill McKibben, CNN host and former green jobs advisor to the White House Van Jones, award-winning author and journalist Naomi Klein, and Pulitzer Prize-winning author Chris Hedges. This panel discussion will be broadcast live over WNYC, “New York’s flagship public radio station,” and it will be heard all over the nation via internet. What makes this event so important is that Kshama Sawant will be the only panelist to put forward the idea of socialism as the only possible remedy for climate change, which has been increasing at an alarming rate. While some scientists say it is already too late to save the polar ice caps, the Guardian has reported that a group of “leading climatologists and political leaders” are arguing that “the world can still act in time to stave off the worst effects of climate change and enjoy the fruits of continued economic growth as long as the global economy can be transformed within the next 15 years.” This is true, of course, but these leaders are only capable of arguing this from a capitalist perspective. 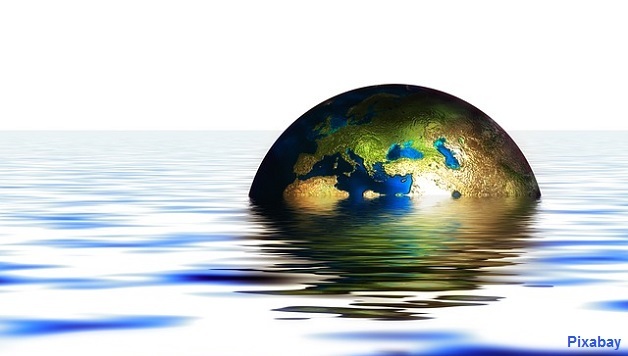 The very structure and inherent requirements of capitalism make a true reversal of the forces that are currently destroying our planet impossible. Only a socialist future can guarantee a real green jobs program and an end to the forces that destroy our planet. The panel will be a galvanizing force for the People’s Climate March on September 21st, at which Socialist Alternative will have a sizeable contingent. We will be marching and reminding people about the repeated inability of the United Nations summit to address climate change, using this to explain why socialism is the only answer to impending environmental disaster.